That’s right, the Coreys and Keifer Sutherland will be on the big screen to kick off the Red Hook Flicks season. 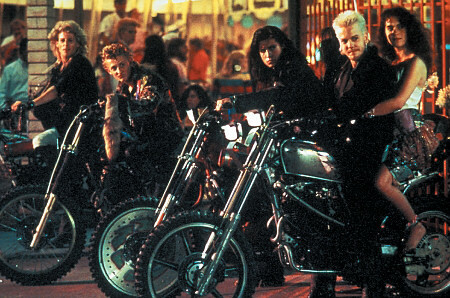 Join us Tuesday, July 10, at Valentino Pier for the 1987 classic, LOST BOYS. Film rolls at 8:30 p.m., but come early to see the Popeye shorts and get dinner from our sponsors. Fort Defiance and Dry Dock Wine + Spirits will be serving up a Lost Boys-themed dinner … in Chinese takeout cartons! No drinking. The cops do ticket. Always remember: Sleep all day. Party all night. Never grow old. Never die. It’s fun to be a vampire.